Undated file photo of chinook salmon. A predicted poor return of chinook salmon this summer has sidelined a decision on a controversial proposal to transfer part of the Fraser River chinook allocation from recreational fishermen to First Nations groups. On Monday, Jeff Grout, the Department of Fisheries and Oceans (DFO) regional resource manager of salmon, said the final in-season assessment is predicting a chinook return to the Fraser River of about 43,000 this season. “As a result, the department is implementing management actions for First Nations, recreational and commercial fisheries that are intended to substantially reduce impacts on Fraser chinook stocks of concern” Grout said in his emailed response to a News query. Fraser River recreational fisheries will remain closed to fishing for salmon through July 31. In marine fisheries, recreational fisheries in the Juan de Fuca area will remain open but with restrictions to limit interceptions of large, wild chinook, including the Fraser chinook stocks and only smaller or hatchery origin chinook may be kept. Commercial troll fisheries have had time and area closures put in place as well. That doesn’t mean the debate over the proposed allocation swap is over, warned Fred Helmer, one of the spokespersons for the Fraser River Sportfishing Alliance (FRSA) a new coalition of Fraser River fishing guides, recreational anglers and industry reps formed to oppose the proposed allocation swap. 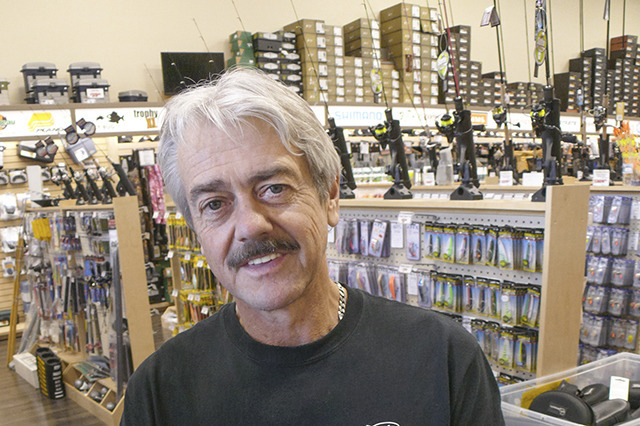 If the chinook return turns out to be better than expected, the recreational industry would like to have an assurance that their share won’t be given away, Helmer said. The DFO move was not a surprise to Ken Malloway, chair of the Lower Fraser Fisheries Alliance, which represents 30 bands on the lower Fraser. He also believes the allocation issue could be revived if it turns out the chinook return is bigger than the DFO projections. On the weekend, Malloway said First Nations fishermen had an 18-hour fishery for set nets, and six hours for drift nets on the Fraser. Figures provided to the News by DFO for 2010 to 2014 show that on average, First Nations fishing the Fraser River were allocated roughly 80 per cent of “Spring 5-2 and Summer 5-2,” the larger five-year-old chinook that have spent two years in fresh water.